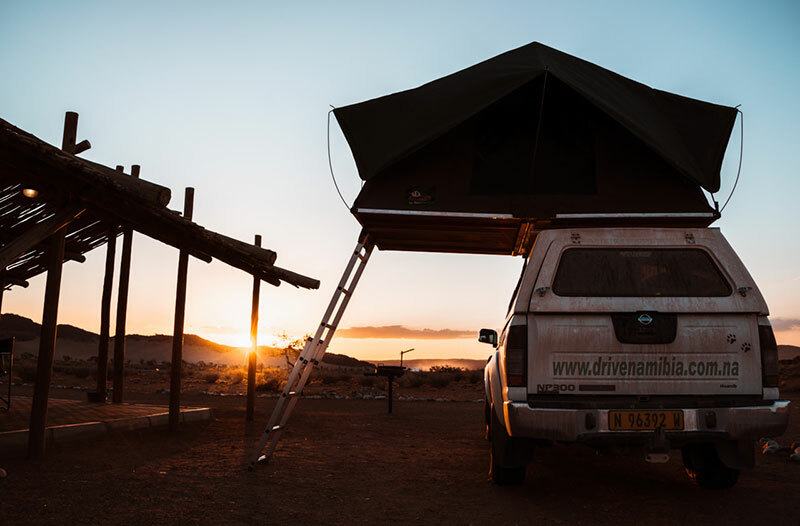 If you are looking for the perfect spot your first or last day camping in Namibia? Stop searching, you found it! 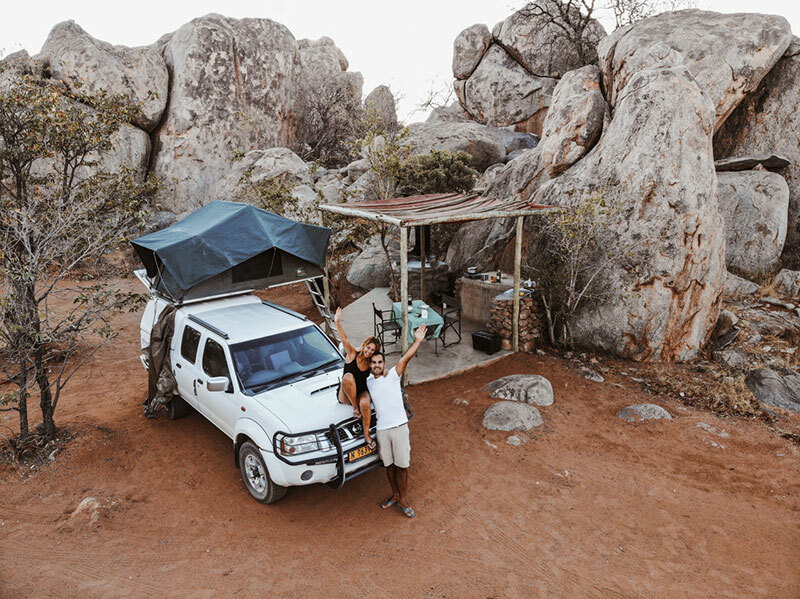 Urban Camp is such a lovely campsite offering both campground and tents with a central location in the heart Windhoek. 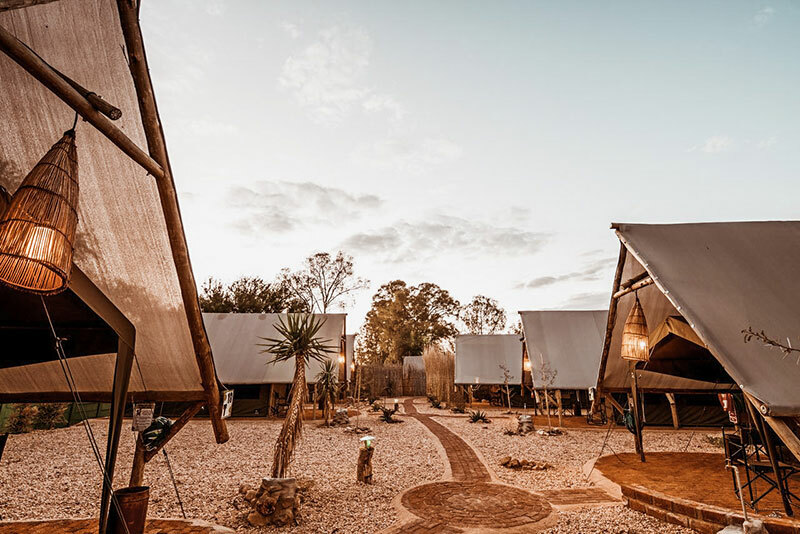 The lively vibe is amazing, their glamping tents are so cozy and beautifully designed and the BBQ garden with outdoor pool makes the whole picture complete. 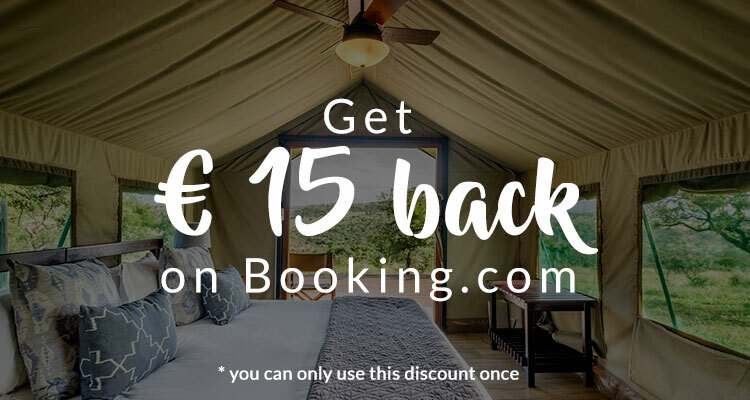 Camping or glamping, the choice is yours! 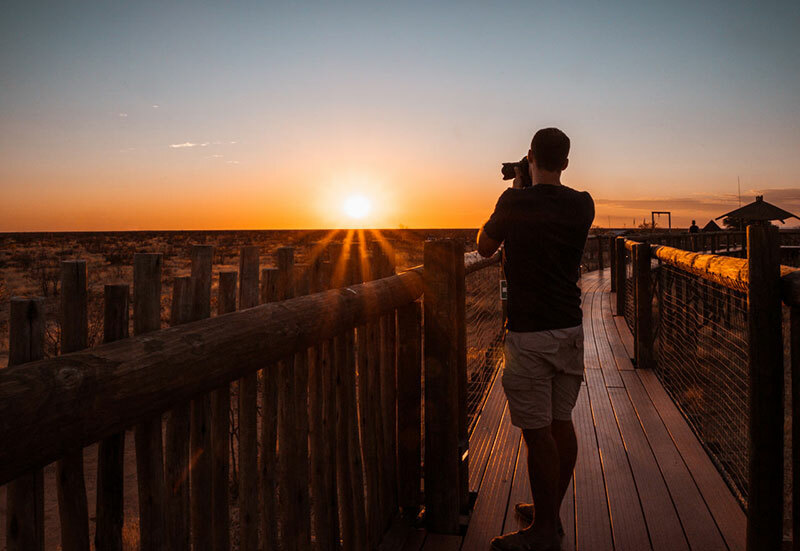 Magical sunset views and face-to-face encounters with incredible wildlife… Welcome to Okaukuejo Camp! 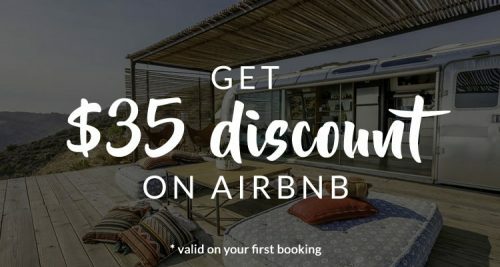 This popular camp is located inside Etosha National Park and makes it a great starting point to do some game drives and explore the Etosha Pan. The highlight of this camp is that it overlooks a permanent waterhole visited by many wildlife after sunset. So beautiful! The viewing platform is about 50 meters from the hole. We saw rhinos, elephants, giraffes, and lions all drinking at the same time. 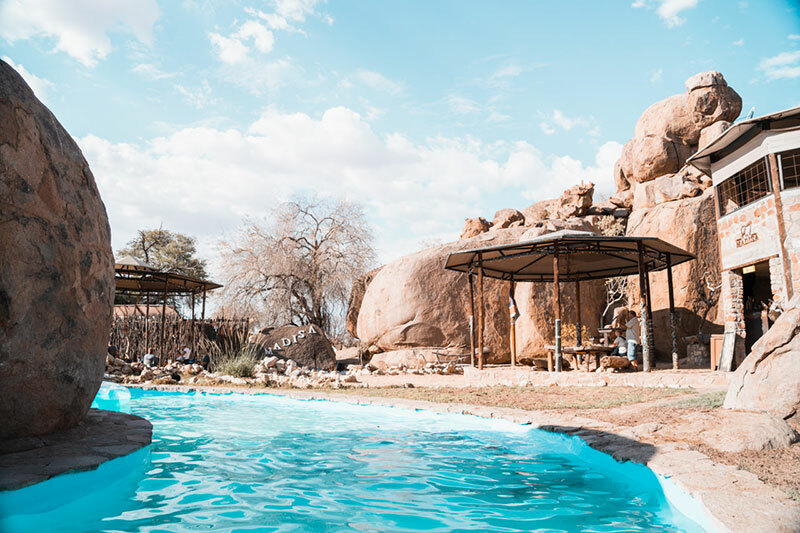 Okaukuejo Camp offers different types of accommodation from camping to chalets overlooking the famous waterhole. 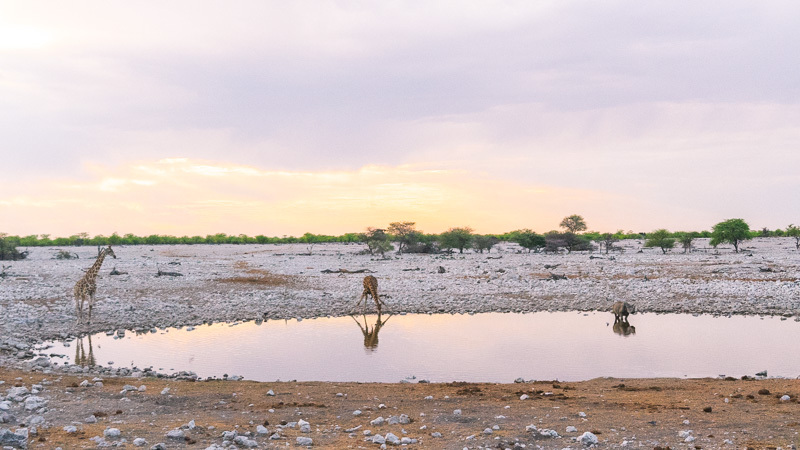 Encountering the wild side of Etosha? This is the place where you need to be! 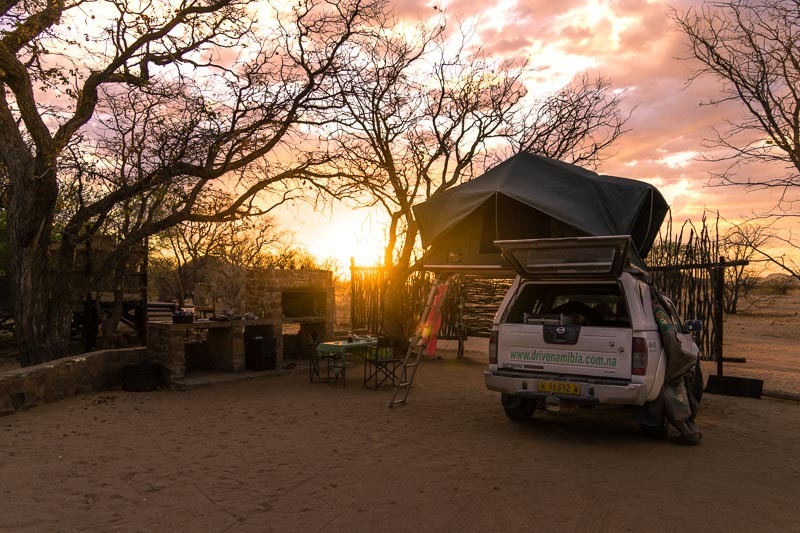 Olifantsrus Camp is an intimate and very special campsite inside Etosha National Park that offers a real camping experience and no accommodations. 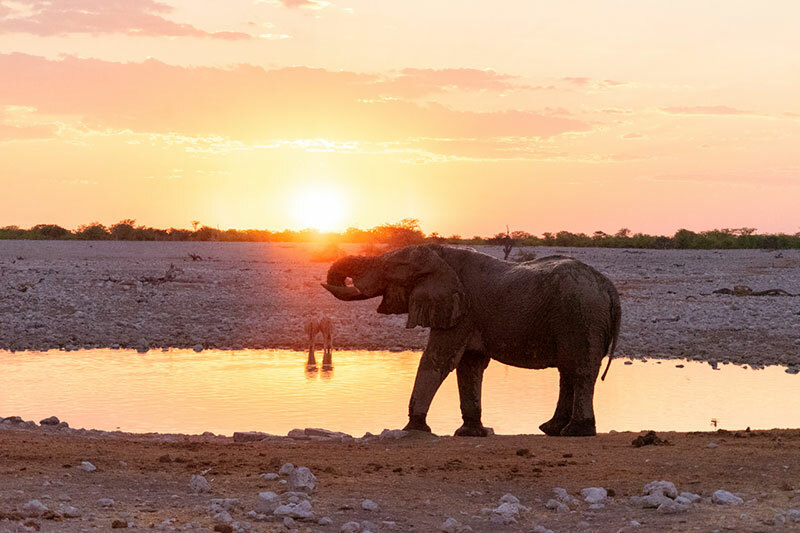 It’s located a little bit off the beaten path, in the unknown western part of Etosha. This part of the park has only recently been opened, so it’s still an untouched area with many good wildlife viewing possibilities. 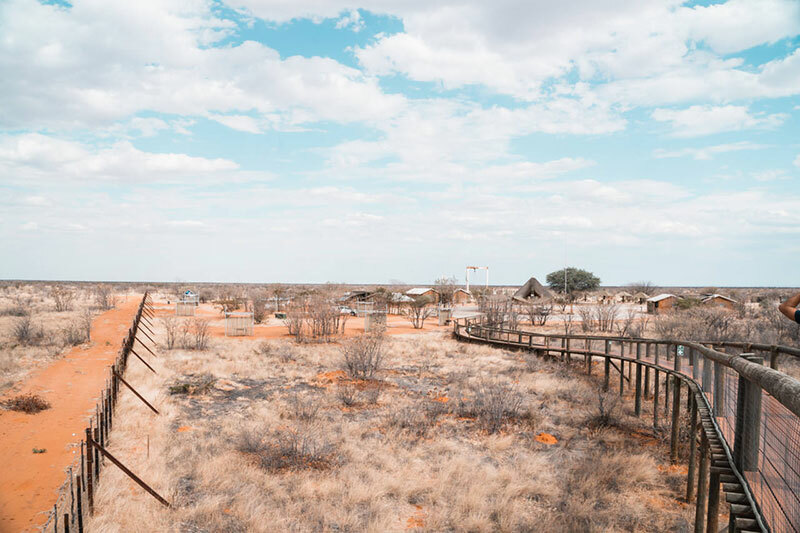 Olifantsrus Camp has 10 campsites with power points and is connected by a wooden walkway that leads to a waterhole and look-out point. 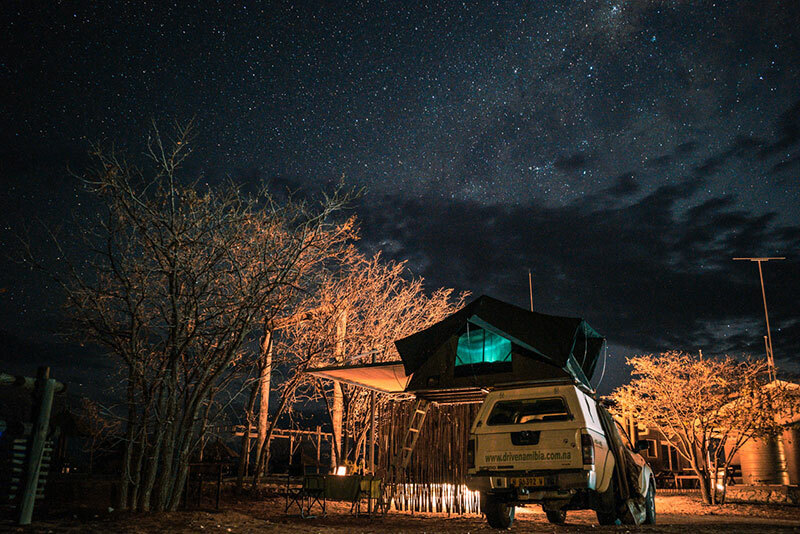 The feeling of being so close with nature, surrounded by the bush and sleeping under the stars… Unforgettable! Always wanted to know how The Flintstones lived? At Hoada Campsite you’ll experience it yourself. 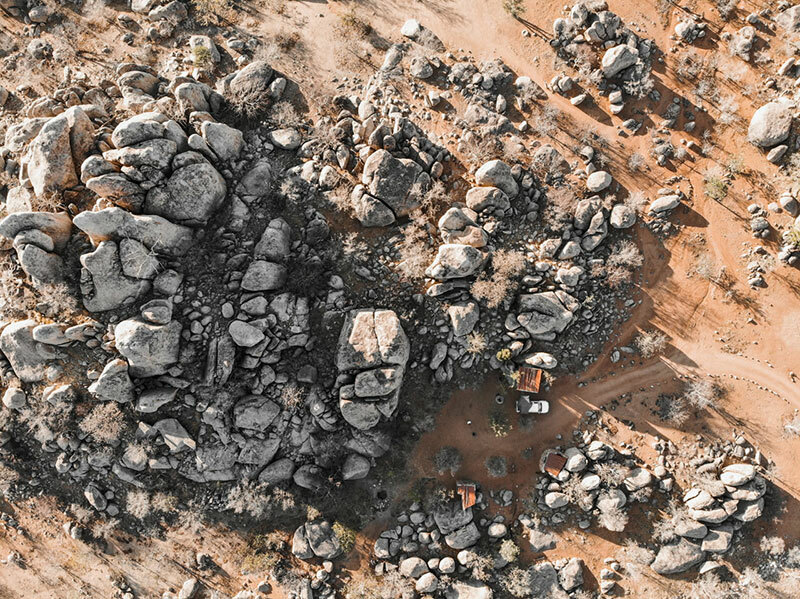 This stunning campsite is beautifully located between big granite boulders in the middle of wild Damaraland. The area around the campsites offers a chance to spot desert-adapted elephants. Each campsite has its own open-air shower, toilet, kitchen, and wonderful private settings. Water gets heated by a ‘donkey’ wood-burner every morning and evening, makes it also an eco-friendly campsite. There are a swimming pool and sunset bar on top of the rocks offering amazing views. Pure magic! From one unforgettable campsite to another. Madisa Camp is a truly hidden gem. The bumpy roads and the long drive are more than worth it. 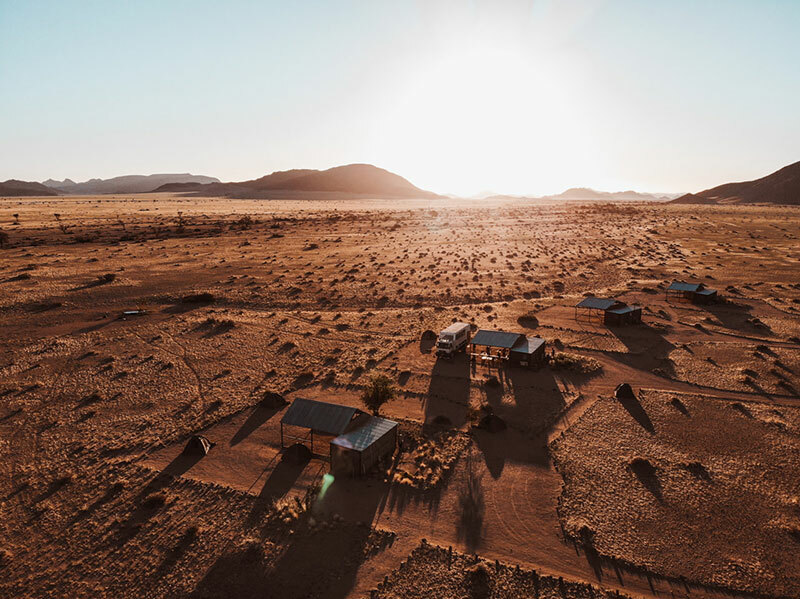 The campsite is located near Twyfelfontein between incredible rock landscapes and has access to an ancient desert elephant route that often gets visited by these beautiful giants. 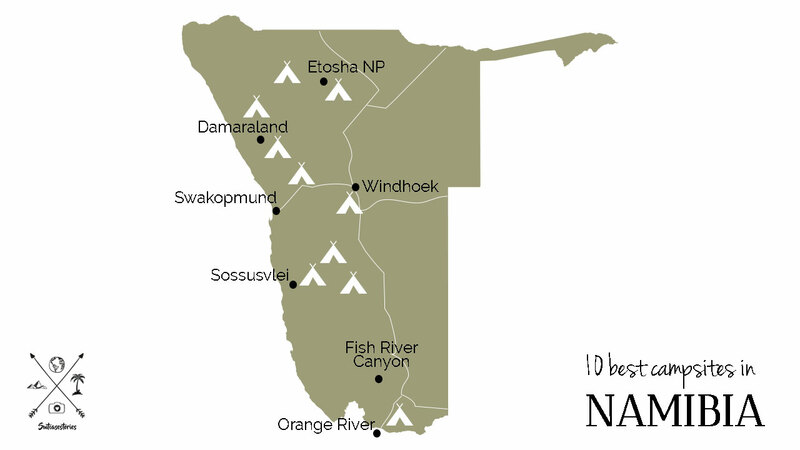 Each campsite has braai facilities and a shower, sink, and toilet situated on stilts overlooking the wilderness. Wanna have hot water? Then you need to heat first you water through fire. The campground has a lovely swimming pool and bar area, which makes it a super relax spot to stay. Some experiences will leave you speechless, and this is one of them. 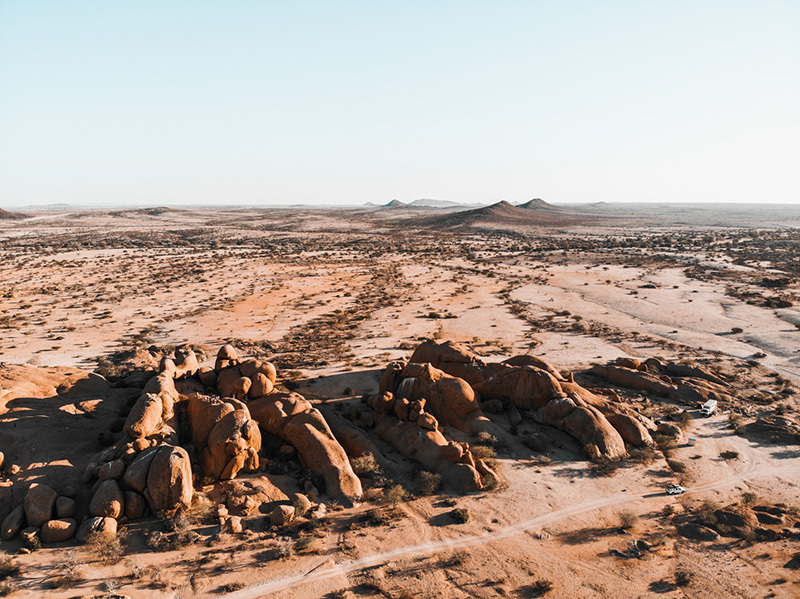 Spitzkoppe Community Restcamp is world famous and the most beautiful campsite in Namibia. There is no power, running water or formal ablutions at the campsites – only a dry toilet. 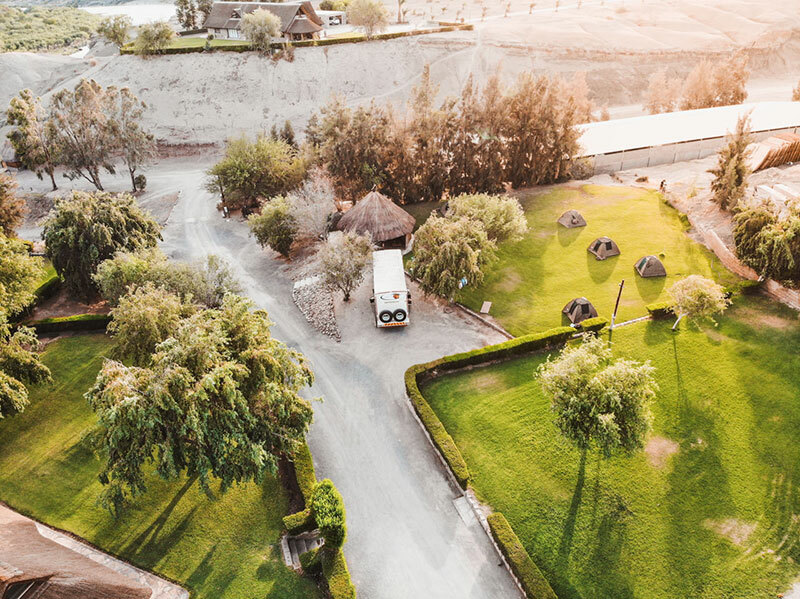 (only at the entrance of the reception) The campsites are spaced far apart so that it feels like you have the entire place to yourself and gives a lot of privacy to everyone. 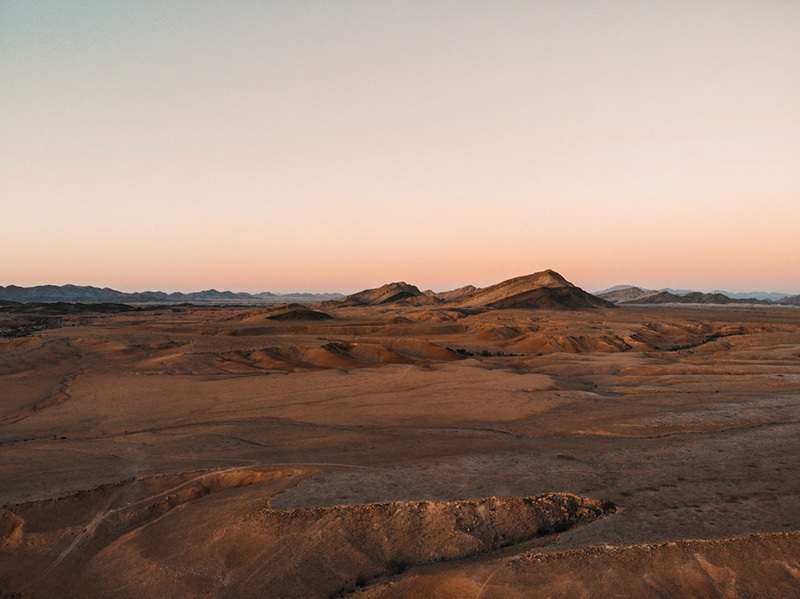 360-degree views of the Namib desert, unique rock formations, endless sunset views, and a sky full of stars… This place is truly the most amazing camping setting in the world and was the ultimate highlight of our trip with Acacia Africa through Namibia. A quiet place, stunning views in every direction and beautiful surrounding makes Sossus on Foot a truly special campsite. You can see as far as you want without seeing any other campsite, only raw nature. 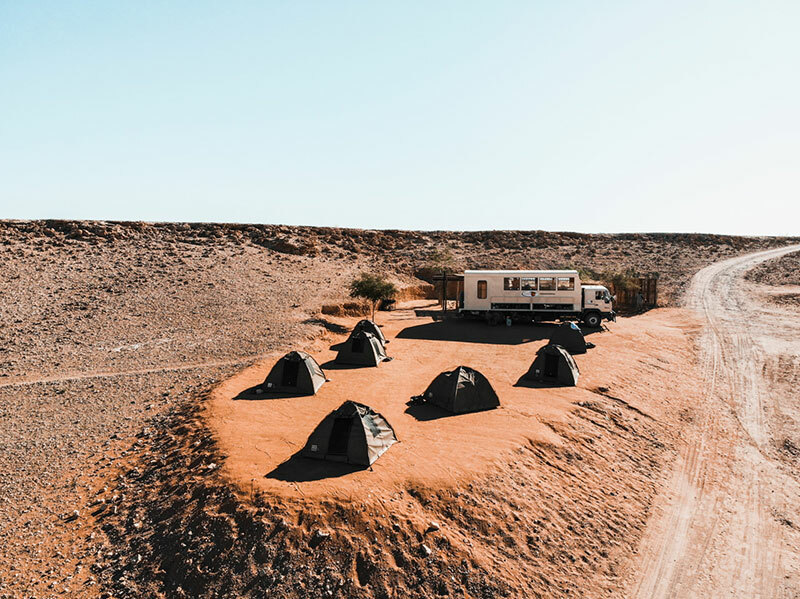 Its located 40km from Solitaire and Sossusvlei, which makes it a great campsite to stay. The campsite has shared ablutions and the owners are offering guided walks to track the desert animals. 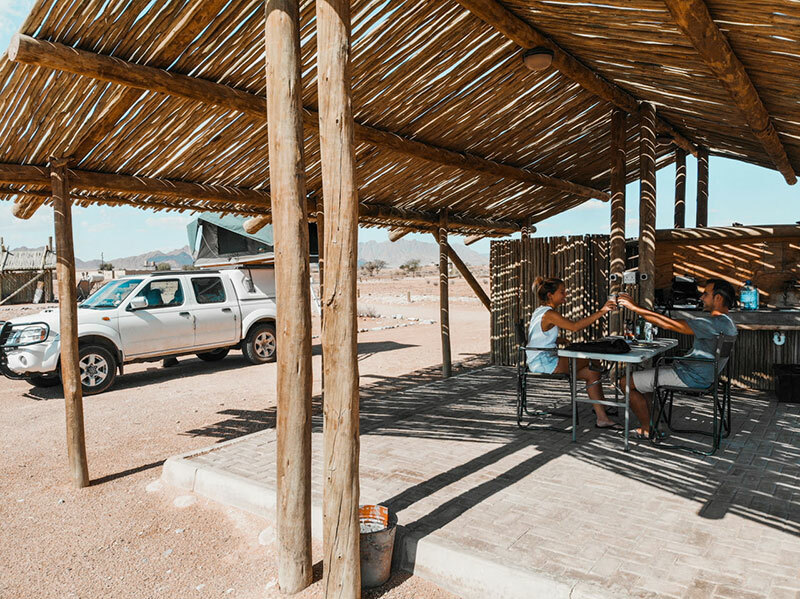 Sossus Oasis Campsite is located at the main entrance gate of Sossusvlei, which makes it such a great campsite to stay. 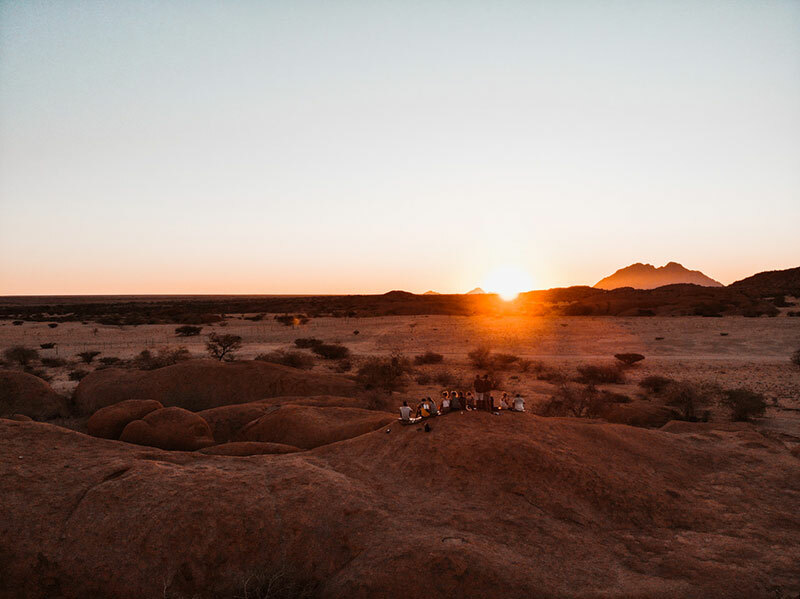 After a day of exploring the dunes, there is nothing better than sitting back and relaxing around a campfire, listening to the sounds of the desert and watching the sun goes down in front of your campsite. Everyone has his own toilet and shower facilities, kitchen with wash-up basin, BBQ facilities, and electricity points. The Sossus Oasis Campsite has also a small pool, shop and fuel station. Little Sossus Campsite is very isolated and quiet, about 40 km from Sesriem. On the other side of the road is the Little Sossus Lodge that offers accommodations. The campsites have all their own en-suite bathroom with hot water, power station and a kitchen where you can prepare some food. There is a small shop, bar, garden area to relax and a cute swimming pool. The desert scenery is truly amazing and the thing we loved the most about it. 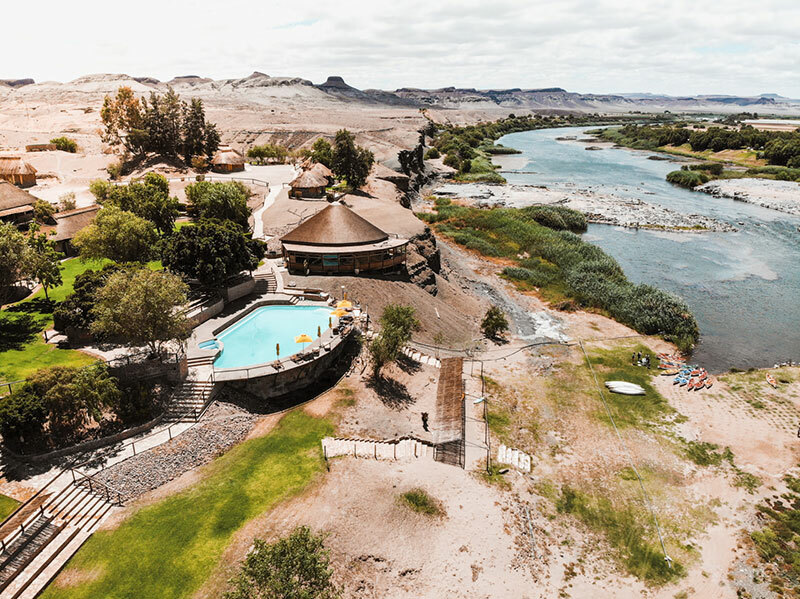 This is a wonderful location to explore the Orange River, the natural border between South Africa and Namibia. 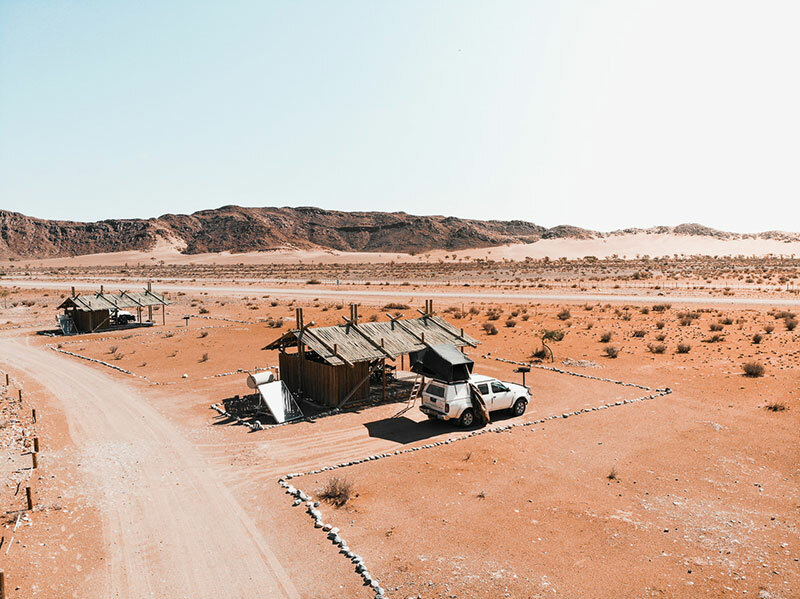 The Felix Unite River Camp offers a campsite with BBQ facilities and shared ablutions. With more than 26 years experience, this is the place to go river-rafting. For those who like more to relax, there is also a lovely swimming pool and bar overlooking the river.